At Just Modern Furniture, we give you the control when selecting your TV Unit. We build Australian Made Entertainment Units tailored specifically to your personal needs, and we can do it at prices that have shocked the furniture industry. Forget what you thought about flat pack Entertainment Units, Just Modern Furniture delivers a substantially higher quality product by using the best Australian Made materials, best hardware, as well as the latest techniques and technologies available. Just Modern Furniture uses the finest quality materials and hardware available in Australia, for the construction of all our TV Cabinets. This includes premium acrylic 18mm thick environmentally friendly E0 moisture resistant MDF from Stylelite (www.stylelite.net) as well as our high quality E0 emission MDF and laminates from Polytec, the leader in Kitchens and furniture materials. Just Modern furniture uses the latest manufacturing techniques and technologies. 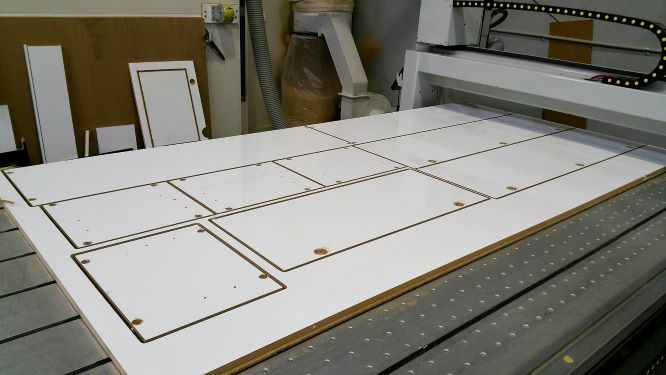 All cabinets and materials are cut on the latest computerised CNC Routers and are accurate to 100th of a millimetre. You will never find crooked panels, unsightly gaps or drawers and doors that don't close correctly with a Just Modern Furniture cabinet. Please have a look at our Gallery here, to see just how good the quality is. We will not be beaten on quality or prices. Just Modern Furniture allows you to select your favourite TV Unit, which you can then customise by choosing the desired size, colour & finish. Your unique TV Unit is then manufactured and delivered straight to your door. Just Modern Furniture is proud to make Australian Made Entertainment TV Units which suit Australian homes and the Australian lifestyle. To get started, simply click here to choose the design of your TV Unit then select your Size, Colour, Finish and other options as seen below. Below is a sample screenshot of how to design your own TV Unit on the Product Page. The options shown in this image may differ from time to time and is to be used for illustration purposes only. 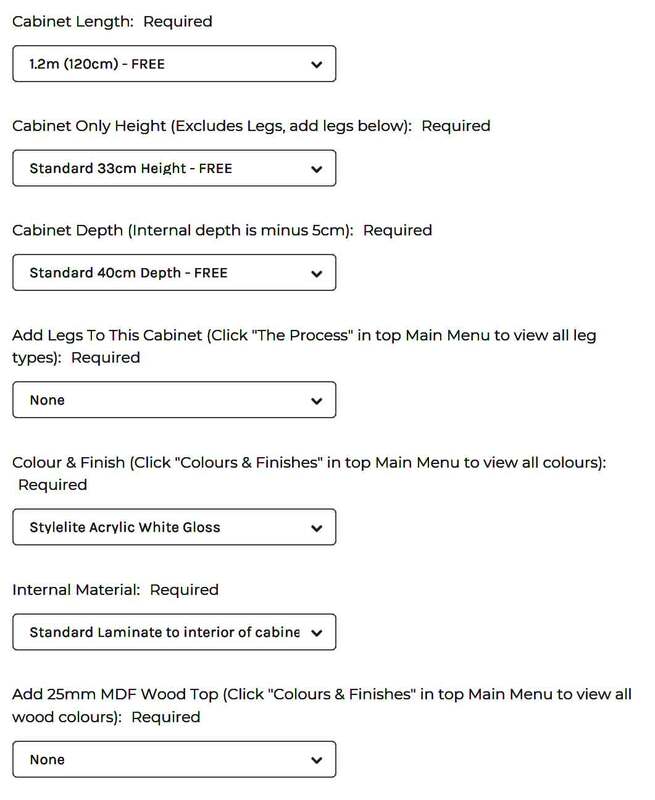 Please ensure to read the titles of each option on the product page for additional information about the cabinet and its features. Just Modern Furniture provides our customers with the best premium finishes on the market for their TV Entertainment Unit. We offer Stylelite in white or black colours in gloss or matte finishes. We also offer a range of 25mm wood laminate top panels for cabnets which include wood grain tops. Stylelite, manufactured by EGR, is one of the highest quality laminate finishes available. EGR, who is also one of the largest companies in the industry, makes the product in Brisbane and supplies their acrylic materials worldwide. StyleLite® is the new super high gloss acrylic laminate which provides a superior appearance compared with older style laminates, paints such as two pack polyeurethane or vinyl wrap. TV Cabinets with Perspex glass, sold by Just Modern Furniture, allow the remote control signal to pass through, so there will be no issues using your Video and Audio devices, with this type of TV Unit. Any type of TV Cabinet with solid doors, will block the remote control signal and will not pass through. The solution to this, is to either operate the remote with the door open, or alternatively, you can purchase a remote repeater, which most customers do. This device passes the remote signal to the inside of the TV Cabinet, thus allowing your Video and Audio devices to work with doors closed. Typical remote repeaters cost $50-$100. Although, remote repeaters are sold at many places online, we recommend remote repeaters sold by Jaycar. View a IR Extender Kit sold by retailer Jaycar here. Please check with the retailer for a remote repeater device that suits all your equipment, as they may differ with different types of remote controls. To ensure we can deliver your item in the fastest time possible, and without it being damaged, our TV Entertainment Units are built as flat pack kits. We include instructions with your order at the time of packing. Our TV Unit instructions are fairly basic due to our manufacturing and design principles which allow you to simply put together your unique piece, regardles of the size or design. Often we can offer fairly detailed instructions and other times we present you with an exploded view of your design. This will easily show you where each piece goes on the TV Unit. Using the common twist and lock assembly methodology seen with most TV Unit/Cabinet flat pack kits, you shouldn't have any issues putting on of our furniture pieces together. If you do have any issues or do not feel 100% confident when assembling, simply get in touch with us and we'll talk you through the process. 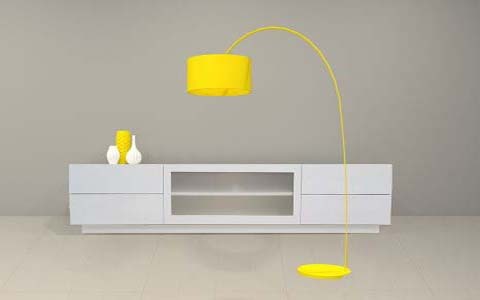 You can also contact Furniture Assembly companies online to assemble for a small fee. Services such as AirTasker or ServiceSeeking are ideal for this purpose. If you are unsure of anything related to assembly or installation of cabinets, please contact us via email or message us through Facebook. The floating TV Cabinets sold by Just Modern Furniture are made using premium Australian kitchen grade 18mm materials, even for the backing panel. Although these are wall mountable designs, they do not come with mounting kits or any other mounting hardware. Due to the large range of cabinet sizes and the myriad of materials walls are built in, there is no universal 1 size fits all solution. We have also found from experience, many of the cabinet brackets found on the market often do not provide a professional finish befitting the quality of the cabinet. Cabinets may not sit flush to the wall or the brackets may not be adequate for the safety of you and your family. For this reason, all Just Modern Furniture wall mountable designs must be mounted by a qualified tradesman experienced in mounting heavy products. A professional is required to assess your environment, the size and strength of the cabinet purchased and how it will be used. This ensures, your cabinet is installed and mounted safely and correctly, to last many years without issue . Just Modern Furniture takes safety extremely serious and we strongly advise you NOT to DIY the installation of a wall mountable cabinet, unless you are fully qualified to do so. MDF and other reconstituted wood panel products are not structural materials and care must be taken with their installation. Reinforcing MDF products with brackets, timber or other accessories is essential for safety under all environment and all conditions. Brackets and Fixings for most installations can be purchased from Bunnings or similar hardware store for approximately $20-$50. While we do not provide installation advice whatsoever, in general, a typical installation on a plaster wall would include many large cabinet screws 80-90mm in length screwed into the timber studs across the entire length of the cabinet. Screws with washers are preferable to stop the screws digging in to the material and to strengthen the fixing. The cabinet will also require some type of reinforcement underneath the cabinet using either several angle brackets up to 100mm in length or a piece of timber. These should be strong enough to support the weight of the cabinet under all circumstances but short enough so that they are not visible. 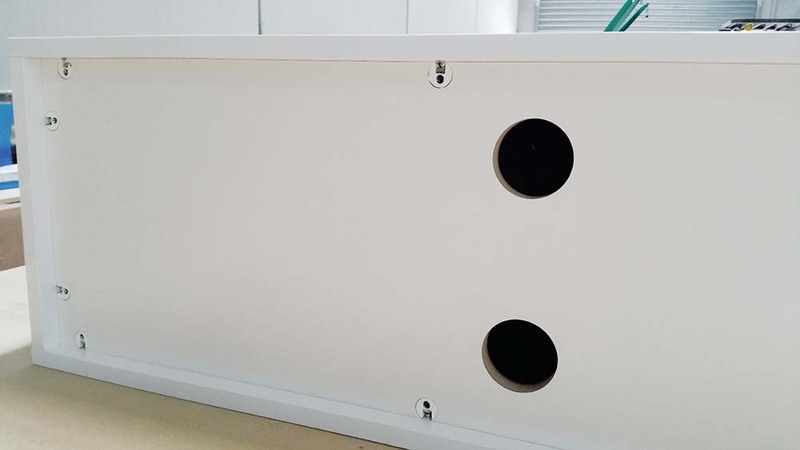 Although Just Modern Furniture provides standard 60mm cable holes for each cabinet door, for ease of use and appearance on the inside of the cabinet, cable holes should ideally be cut on-site on the day of installation. This ensures power points and cables will adequately fit while looking nice and neat. NOTE: Just Modern Furniture does not cut custom cable holes for clients backing panels or other panels, as its extremely difficult to predict where the cabinet will be installed in relation to all power points and cables. If you will be cutting your own holes on-site, its best to contact us to remove the standard cable holes. 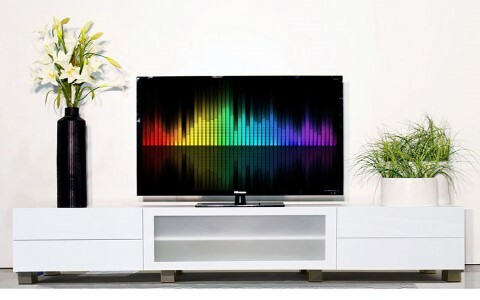 Additionally, while most consumers wall mount their TV, if you require your TV to sit atop of a floating cabinet, you should advise us prior to or shortly after purchasing. A hole will need to be cut into the top panel at time of manufacturing, so cables can reach through to your TV. In general, this will be cut free of charge, but charges will apply for anything else that needs to be modified. NOTE: PLEASE FOLLOW INSTRUCTIONS CAREFULLY WHEN ASSEMBLING FLOATING DESIGNED CABINETS. TO ENSURE THE INTEGRITY OF OUR WALL MOUNTABLE PRODUCTS, PLEASE ASSEMBLE BACKING PANEL WITH LOCKS FACING TO THE OUTSIDE OF THE CABINET, TOWARDS THE WALL. DO NOT INSTALL BACK PANEL HAVING CAM LOCKS FACING THE INTERIOR OF THE CABINET. All items are Australian Made and are manufactured upon ordering, we will aim to dispatch all products during the selected manufacture time. This manufacturing time can be selected on the product page, along with all options available. *Residents of regional WA, TAS & NT may have slightly longer delivery times. Also, customers in these states that are located in a regional, remote or difficult to access area should contact us prior to ordering to confirm delivery fees if any. We reserve the right to charge an additional delivery fee for items in remote areas or some other parts of Australia where delivery is very difficult or costs are extremely high. You will be consulted prior to any charges occuring and you will also have an opportunity to cancel the order, if you feel the additional cost is too high. Please ensure you see the shipping page for more details before ordering. 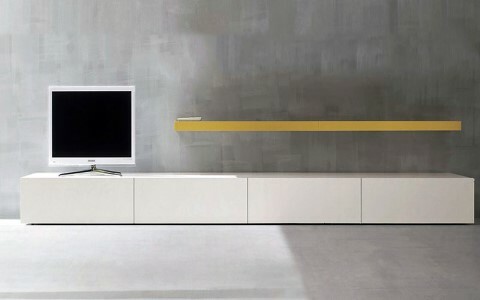 Just Modern Furniture manufactures all TV Units and Floating Wall units made to order. Due to the fact each order is bespoke and specifically made to your requirements, we are unable to accept returns or order cancellations of our high quality products. Please choose extremely carefully in terms of sizes, shipping options, finishes etc prior to ordering and ensure you have read the shipping times and terms and conditions. Failure to do so, will not be a valid reason for cancellation or return of the product. In rare circumstances or upon a dispute, if we absolutely must cancel an order, the costs incurred by us at the time of cancellation, will be charged prior to refunding amount. This amount is at our discretion dependant upon the circumstances. In the event your item is damaged in transit, please contact us immediately for free replacement parts. We will endeavour to ship the replacement parts immediately, however this is dependant on stock availablility or any delays in sourcing the item/product from our suppliers. Just Modern Furniuture uses the highest quality E0 MDF available in Australia when producing our TV Units. This type of MDF is substantially better for the environment and is the greenest available. This eco-friendly MDF offers the lowest toxic emissions in the world, in particular, formaldehyde. Our MDF is solid, it's high quality and we're not afraid to voice it. Do not risk your health or the health of your family by purchasing imported and inferior TV Units or products which can possible be graded E4 or worse and contain large amounts of formaldehyde, which has been proven to be a human carcinogen. Although the Australian government and authorities request its importers to comply with at least the E1 standard, the consumer market is not as regulated as you may think, and dangerous or inferior products can easily slip through. Please make a stand for environmentally friendly and sustainable MDF and products.